Eclectic decor has become very popular and one way a lot of homeowners have accentuated this look is through clusters of prints and paintings. A lot of time these groupings have themes or complimentary colors. 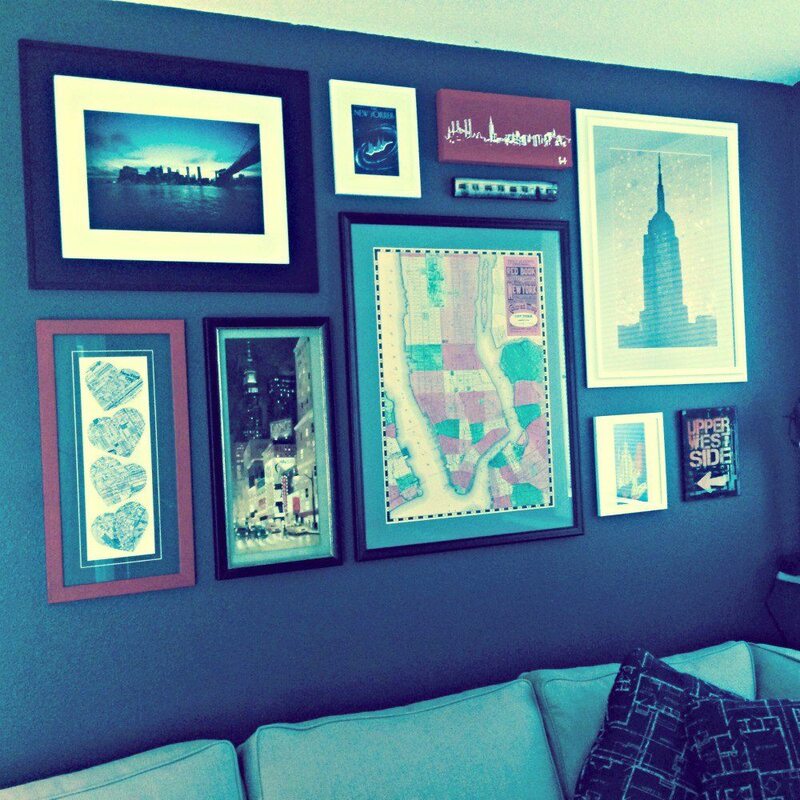 In my own house I put together a group prints and painting from New York.